The Networking Academy Alliance aimed to teach students computer networking skills and grant them internationally-recognized Cisco Certified Network Associate credentials, enabling trainees to compete effectively in the global marketplace. The alliance provided girls and women scholarships to attend the Networking Academies, and offered job searching guidelines to Academy graduates. The project established 239 academies in 60 African, Asia, and Middle Eastern countries, trained 700 Cisco instructors, and trained 10,000 students, with about 30% female participation. Additionally, Cisco helped accomplish locally defined measures of success by providing academies with financial sustainability, workforce development, and gender mainstream training manuals. In Afghanistan (2004-2008), the partnership worked to expand the curriculum of Afghan universities to include “Internet Essentials”, expand Cisco Networking Academies to four or more additional cities, and additional outreach to target groups. Consequently, Internet Essentials were introduced to most of the academy programs, academies were established in Herat, Mazar, Khost, and Jalalabad, and the Afghan Women In Technology program launched with more than 700 enrolled to design a network for the Women’s Dorm. Cisco enables people to make powerful connections-whether in business, education, philanthropy, or creativity. Cisco hardware, software, and service offerings are used to create the Internet solutions that make networks possible-providing easy access to information anywhere, at any time. Cisco was founded in 1984 by a small group of computer scientists from Stanford University. Since the company's inception, Cisco engineers have been leaders in the development of Internet Protocol (IP)-based networking technologies. Today, the company has more than 65,225 employees worldwide. 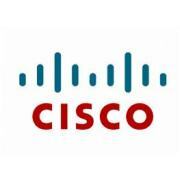 Cisco designs, manufactures, and sells Internet Protocol (IP)-based networking and other products related to the communications and information technology (IT) industry and provides services associated with these products and their use. The company provides a broad line of products for transporting data, voice, and video within buildings, across campuses, and around the world. Its products are designed to transform how people connect, communicate, and collaborate. The products are installed at enterprise businesses, public institutions, telecommunications companies and other service providers, commercial businesses, and personal residences. Cisco conducts its business globally and is managed geographically in four segments: United States and Canada, European Markets, Emerging Markets, and Asia Pacific Markets. The Emerging Markets segment consists of Eastern Europe, Latin America, the Middle East and Africa, and Russia and the Commonwealth of Independent States. 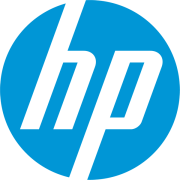 Hewlett-Packard Company (HP) Is an American multinational information technology corporation headquartered in Palo Alto, California, United States. The company provides products, technologies, software, solutions and services to consumers, small- and medium-sized businesses and large enterprises, including customers in the government, health and education sectors. The company was founded in a one-car garage in Palo Alto by William (Bill) Redington Hewlett and Dave Packard. HP had been the world's leading PC manufacturer until the company Lenovo, based in China, became the world's leading PC manufacturer in 2012, according to Gartner. It specializes in developing and manufacturing computing, data storage, and networking hardware, designing software and delivering services. Major product lines include personal computing devices, enterprise, and industry standard servers, related storage devices, networking products, software and a diverse range of printers, and other imaging products. HP markets its products to households, small- to medium-sized businesses and enterprises directly as well as via online distribution, consumer-electronics and office-supply retailers, software partners and major technology vendors. HP also has strong services and consulting business around its products and partner products. HP creates new possibilities for technology to have a meaningful impact on people, businesses, governments and society. The world’s largest technology company, HP brings together a portfolio that spans printing, personal computing, software, services and IT infrastructure at the convergence of the cloud and connectivity, creating seamless, secure, context-aware experiences for a connected world. Fast growing economies - Growth Markets - represent a significant business opportunity for HP and will represent a major portion of HP's market growth in the coming years. The Growth Markets Organization (GMO) in HP is responsible for accelerating HP's revenue growth into 62 key countries through targeted commercial, infrastructure and people investments with increased customer relationship management. Panduit is a developer and provider of leading-edge solutions that help customers optimize the physical infrastructure through simplification, increased agility and operational efficiency. Founded in 1955, Panduit is headquartered in Tinley Park, Illinois. Panduit's Unified Physical Infrastructure (UPI) based solutions give Enterprises the capabilities to connect, manage and automate communications, computing, power, control and security systems for a smarter, unified business foundation. Its global manufacturing, logistics, and e-commerce capabilities along with a global network of distribution partners help customers reduce supply chain risk. Panduit cultivates long-term strategic alliances with industry leaders, including Cisco Systems, EMC, IBM, and Rockwell Automation, to develop, optimize, and validate solutions for its customers. Panduit and our partners work with you to overcome business challenges and implement real-world solutions that create a competitive business advantage. Panduit offers the broadest range of solutions, from data centers and intelligent buildings to manufacturing operations, to help you build a smarter, unified business foundation.